Science is part of our everyday lives. Cooking, playing sports, growing a garden, and understanding technologies all involved some aspect of science. Sometimes, science education takes a backseat to the other core subjects like English language arts and math. However, science is the one fundamental subject that touches everyone, which is why science education is so important for today’s children. Elementary age children are naturally curious making them the perfect age to engage with science experiments that can both delight and pique their interest in a variety of science topics. Science education fuels that curiosity and provides children with valuable ideas, thinking skills, and potential future career choices. Future scientists will be an important part of our world. Without them, we would not be able to predict the weather or earthquakes, understand global warming, cure illnesses and take care of the sick, or have many of the products that enhance our lifestyles today. As those curious elementary students mature into middle and high school students, their courses will build on those main topics introduced in their younger years. These upper level courses can point a child in the direction of the type of science that best fits their interest such as biology, chemistry, physiology, geology, physics, or technology. What Geology Can Teach Us? Geology instruction, in particular, has the benefit of educating our youth on topics like environmental protection and natural phenomenon. In geology class, children learn about earthquakes, volcanoes, landslides, and tsunamis arming them with knowledge of Earth processes that can protect their health and safety throughout their lives. 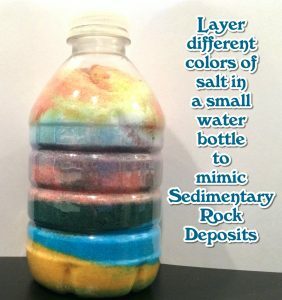 Children with a basic understanding of rocks and minerals are able to translate that knowledge to a wide variety of activities and potential careers such as gardening, groundwater recovery, pollution control and clean-up, engineering, environmental research, oil and gas exploration and recovery, road construction, mining, energy production, and jewelry manufacturing. Mini Me Geology can be a valuable resource for parents, teachers, and home school groups who are interested in promoting science education with their children and students. Our rock and mineral kits give kids hands-on experience with the samples and help to teach reasoning and identification skills while they classify the samples. Many of our kits contain eBooks with experiments, coloring pages and puzzles, and short story writing activities designed to engage and educate kids while they are having fun learning. At the Dig Into Geology section of our website, our free geology education information, word puzzles, project ideas and experiments on our blog, and free downloadable identification flow charts are designed to give children a better understanding of geology, while having a little fun too. All of the information in the Dig Into Geology section is free for your unlimited use. If you have questions about geology, we welcome you to submit your question and then keep an eye on our YouTube channel for a video answer! Please visit our website www.MiniMeGeology.com for more information about our products and services. Minerals are the building blocks of every rock in our world. Some minerals are so common that they form all over the world and others are so rare that you can only find them in a few places on Earth. We’ve compiled a list of our top 10 favorite samples for every mineral collection. Whether you collect for fun or teach science classes or homeschool your children, this list is a must. Why you need it: Quartz is one of the main building blocks of many of Earth’s rocks. With the amazing number of varieties, you can find multiple samples that span a wide range of colors and sizes. Being able to identify quartz will help you identify many rock types. 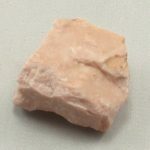 Calcite is another common mineral that forms many varieties of sedimentary rocks all over the world. Calcite comes in many colors such as colorless, gray, red, yellow, green, blue, violet, brown, or black. This awesome mineral is soft, being only a 3 on the Mohs Scale of Hardness. Calcite has a white streak, glassy to pearly luster, rhombic cleavage. 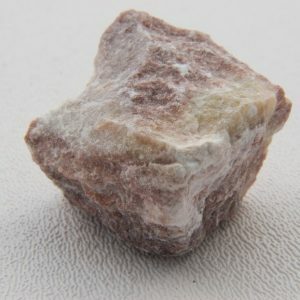 This mineral is useful in the production of microscopes, building materials, and fertilizers, and as a component in the chemical industry and metallurgy. Calcite often forms in water-rich environments or in caves. 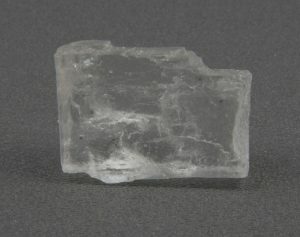 Iceland Spar Calcite: A clear variety that has optical properties. Place a piece over text or an image and it will appear doubled through the crystal. Why you need it: Calcite is made of calcium carbonate which will react (fizz or bubble) in the presence of an acid. 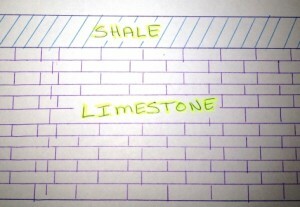 This property is useful in identifying the mineral and rocks that contain calcite like limestone or marble. Calcite reacts easily with strong acids such as hydrochloric but will also react with weaker acids like lemon juice or vinegar, especially on a fresh surface. Gypsum is an evaporate mineral that often forms due to the evaporation of lakes or oceans. 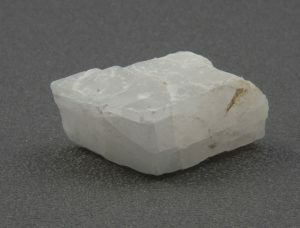 Gypsum is often white or pinkish-white, very soft being a 2 on the Mohs Scale of Hardness, has as a glassy to silky to pearly luster, cleavage in one direction, and a white streak. Gypsum has many uses including paints, tile, drywall, blackboard chalk, fertilizer, and Plaster of Paris. Wonderful samples of gypsum are found in Mexico, Italy, Russia, France, Canada and the United States. Gypsum will dissolve in water over time. Selenite Gypsum: A fibrous variety which forms long white sticks of crystal clusters. 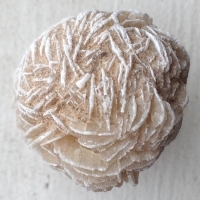 Gypsum Roses: A unique form of gypsum where the crystals grow is a rose-shaped cluster. Why you need it: Gypsum is one of the softest minerals on the Mohs scale. This is a great sample to use when learning to test mineral identities. The unique forms of gypsum roses and selenite sticks make fun additions to any collection. Halite is the mineral table salt. This mineral forms as an evaporate mineral when sea beds dry. 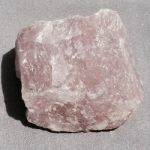 Halite often forms in wide, thick layers in colors ranging from colorless to white, yellow, red, brown, light blue, dark blue, violet, and pink. With a hardness of 2.5 on the Mohs scale, it is slightly harder than gypsum, has a white streak, glassy luster and cubic cleavage. Nice specimens of halite are located in Germany, Poland, Spain, Austria, United States, and Italy. Halite is primarily used for food preparation and in the chemical industry. Why you need it: Halite is used in everyday activities and is a great example of how natural Earth minerals are used in our lives. Also, halite’s cubic cleavage allows the samples to break into perfect cubes each time you break a sample. Magnetite is a black mineral with moderate hardness, 5.5 to 6.5 hardness on Mohs Scale of Hardness, metallic streak and very heavy. This common mineral is present in many rock types and has a high iron content. Nice samples often occur in Sweden, Austria, United States, Italy, Switzerland, South Africa, and Russia. Why you need it: Magnetite is magnetic and can be picked up by a magnet and can also pick up smaller items like metal paperclips. A Mini Me Geology favorite, hematite is typically gray to black in color, has a metallic to earthy luster, and is a 5 to 6 on the Mohs Scale of Hardness. Hematite is a heavy mineral that is found worldwide. 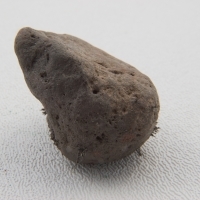 It’s presence in a rock will cause it to have a reddish color. 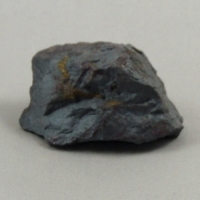 Hematite is useful for its iron content, red pigments, jewelry and in plate-glass. Why you need it: Hematite is a great mineral for teaching streak and hardness to students because while the outer mineral color is gray to black, the streak color is cherry red. Fluorite is a unique mineral in that it can be almost any color other than black. Common colors are green, purple, white, yellow, blue and red. Fluorite is a 4 on the Mohs Scale of Hardness, has a white streak, and glassy luster. Found worldwide, nice samples of fluorite are located in Germany, Italy, Switzerland, and Mexico. A rare type of striped fluorite, the Blue John Fluorite, it located in caverns in the Castleton, Derbyshire, England area. Fluorite is often found in veins of rock and is used in enamels, cooking utensils, telescopes, and camera lenses. 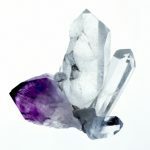 Why you need it: Fluorite is a colorful mineral that can form in cubes but can also be broken into octahedrons. Kyanite is a unique light blue, blue-gray or black mineral that forms in blades. The hardness of the mineral is 4 to 5 on the Mohs Scale along the blades and 6 to 7 across the blade. 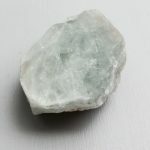 The mineral has a white streak, glassy to pearly luster and is useful in the production of ceramic products, electrical insulators, and abrasives. Kyanite is often found in metamorphic rocks like schist and gneiss. Nice samples are present in Switzerland, Italy, Austria, France, Kenya, Brazil, and the United States. Why you need it: The difference in the hardness across two directions of the blades is a unique feature. 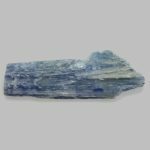 Kyanite is also a key metamorphic mineral which helps identify certain samples. Mica is one of the most interesting minerals because it forms in stacks of super thin sheets along a single cleavage plane (basal cleavage). These stacks are called “books.” Mica forms in colors of black, brown, rose, silver, yellow, gray, purple or dark green and is very soft being only a 2.5 to 3 on the Mohs Scale of Hardness. A colorless streak and a glassy to pearly luster are also characteristic of this mineral. Nice specimens of mica are located in the United State, Italy, Russia, Brazil Madagascar, Australia, Germany, Canada, Japan, and Greenland although it occurs in rocks around the world. 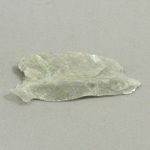 Mica is popular mineral for collecting and rock identification. Mica is a prominent component of pegmatite igneous rocks. Three notable varieties of mica are the black Biotite, silver Muscovite, and purple Lepidolite. 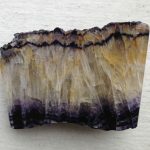 Why you need it: Mica is a fun mineral to collect and is a great example of unique properties when teaching students. You can peel individual layers of books apart with your fingernails. Mica sheets are also very flexible, which is not common in many other minerals. Feldspar is a common mineral in many rock types such a granitic pegmatite igneous rocks and a variety of metamorphic rocks. Feldspars are often white, pink (Microcline) or green (Amazonite), have a moderate hardness of 6 to 6.5 on the Mohs Scale, a glassy luster, and two intersection cleavage planes. Nice samples occur worldwide and are popular for collectors and scientists as a means of sample identification. Some feldspars are also popular in the production of jewelry. Why you need it: The feldspar minerals make up over half of the Earth’s crust. Plagioclase feldspar varieties exhibit unique striations (fine lines) on their crystal face. Do you have other minerals that you would add to the list? Let us know what you would collect and why! 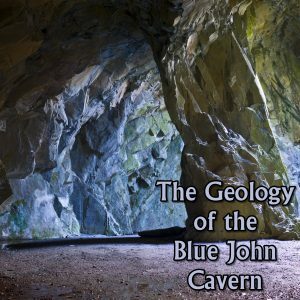 Blue John’s Cavern Novel Now in eBook and Print! Traveling through caves, jumping through time. Nothing interesting ever happens in Diamond Falls, West Virginia, and that’s doubly true for local teenagers Emma and Brody. Little do they know that their neighbor, a famous geologist, is about to show them the wildest time of their lives. When Mr. M’s prized rock and mineral collection is destroyed before it can be displayed at the state museum, Emma and Brody jump at the chance to find new samples. The geologist accepts the offer, and promptly sends them back to the year 1775 to help! Back in time and across the pond in Derbyshire, England, Emma and Brody team with a mysterious young girl named Max to recover one of the rarest minerals in the world: Blue John Fluorite. Tapping into courage they never knew they had, the formerly ordinary West Virginians must protect a cave, avoid gun-toting soldiers, and return to the present before they’re trapped forever. 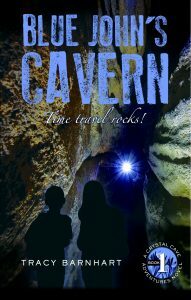 Blue John’s Cavern is the first book in the middle-grade adventure/sci-fi series Crystal Cave Adventures. If you like a little excitement thrown in with your science, then you’ll love this fast-paced and compelling novel. Use this link to choose your favorite eBook seller. For print, choose “Kindle” which will take you to the Amazon page where you can purchase the print book. Or, you can buy directly from our site! The Blue John Cavern is located in the Peak District in England near the town of Castleton, Derbyshire. The area of the cavern is formed within limestone strata that deposited in deep ocean waters millions of years ago. Layers of shale and some gritstone, a type of coarse sandstone common in this area, covered the limestone. Over time, the layers buckled from folding and faulting. The cavern itself formed when glacial melt waters flowed through the area forming the valleys and seeping into crack in the limestone strata and dissolving portions of the limestone. As the melt waters dissolved the limestone, underground rivers formed which washed out corridors and large underground rooms which became the network of the Blue John Cavern. We are thrilled to announce that our favorite coloring book is now available in print. 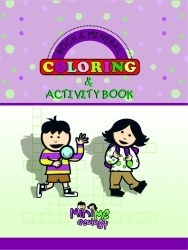 This fun book will give your kids hours of fun with 78 pages of coloring, puzzles, and activities. I’ve wanted to write this blog post for a long time, but this weekend pushed it forward on my list because of something my daughter said to me. As some of you who follow me on social media may know, my two kids are runners. This past weekend my daughter competed in the Region 4 USATF Junior Olympic Cross Country meet in Tallahassee, Florida. She had a great meet and qualified to run at the National JO meet in December. As I pulled up the course maps for December in Alabama, I noticed that they were unlike any course map I’ve seen over the years. There are topographic lines on the map! For once, you can look at the map and see where the hills and valleys are on the cross country course. The first thing I thought to do was to make a cross-section of my daughter’s course map to see if it was flat or hilly. We live in coastal South Carolina so running hills can be tough on our athletes. When I mentioned making the cross-section, my daughter said, “you are the only person who would think to make a cross-section of a cross country course.” Really? Certainly, there is at least one other geologist parent attending that meet who whipped up a quick cross-section. Much to our delight, her 3K course looks relatively flat. Yippie! Making a cross-section from a topographic is not too difficult and can come in handy for hiking, driving, biking, walking and yes, running. 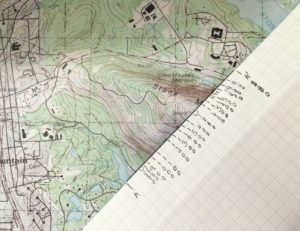 All you need is a topographic map of the area, a piece of graph paper, a ruler, and a pencil. 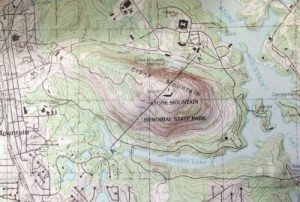 There are some great online resources for obtaining topographic maps. I will link to one I like at the bottom of the post. For this demonstration, I am using Stone Mountain, Georgia because it has a significant elevation difference than the cross country course. 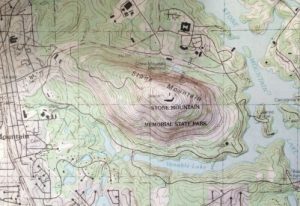 Here is a topographic map of Stone Mountain. 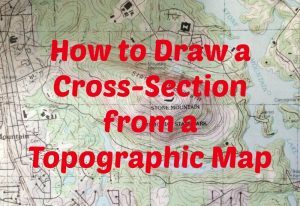 There are three basic steps to making the cross-section once you have your map. The first step to complete to create your cross-section is to choose a line across the map where you want to view the elevation changes. This could be the area you plan to hike or as in this example here, a line through the highest part of the mountain so that we can get a really good visual of the mountain’s elevation. Once you choose the area for your cross-section, draw that line on the topographic map using a ruler. 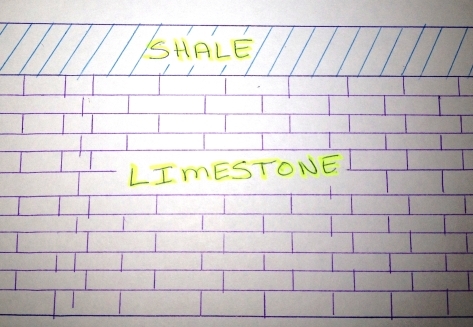 Geologists will label this cross-section line using letter designations such as A – A’. You could use “A – B” or “Start – Finish” or anything else you choose. The second step is to take a piece of graph paper and fold it along one of the horizontal grid lines. I like to choose an area toward the bottom of the graph paper to give myself plenty of room to work. Lay the edge of the graph paper along your cross-section line then mark the locations of A and A’ on your paper. Mark each topographic line or each index line (the darker topographic lines) if there are more topo lines that you can easily use in the construction of your cross-section, on the paper and label the mark with the elevation of that line. In this example, each index line is at a 100-foot interval while the lines in between are at intervals of 20 feet. Because Stone Mountain is very steep, I can mark only the index lines and still have a nice representation of the height of the mountain. If your area is flatter, you may want to use all of the topographic lines to accurately see the elevation. 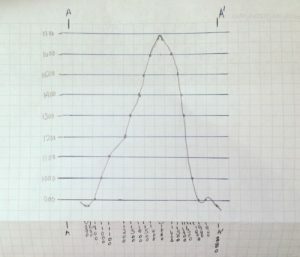 Once you mark each topographic line and its corresponding elevation on your graph paper (as shown), unfold the graph paper and make a lined graph above your marks. Mark the elevation of each topographic line on the graph directly above the mark for the line. Once you have all of the dots placed on the graph, simply connect the dots to see a representation of the elevation of the area as shown in the image. I am not the best artist in the world so your drawing may be a lot prettier than mine, but this will give you an idea of how you can use a topographic map to quickly drawing a cross-section of the elevation of an area. Give this a try the next time you are going for a walk, hike or run in a new area to give yourself an idea of the elevation of the terrain the area. Meet Selenite Gypsum – Our New Favorite Mineral! 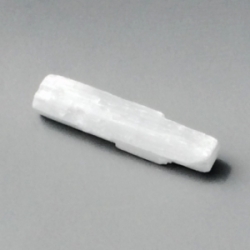 Satin spar selenite has a beautiful white color and can also appear colorless. The luster is silky to pearly and sometimes vitreous (glassy). When testing the hardness, use your fingernail to scratch the surface. Selenite is very soft, being a 2 on the Mohs hardness scale. Nice samples of selenite are found in locations worldwide including Mexico, Italy, Russia, France, Canada and the United States. Selenite (gypsum) is a common material in paints, tile, drywall, blackboard chalk, fertilizer, and Plaster of Paris. Selenite is a very popular metaphysical crystal and is associated with the seventh chakra or the crown chakra. The crown chakra is located at the top of your head and associated with enlightenment, cosmic consciousness, energy, perfection, spirituality, and intelligence. Selenite sticks form in long, prismatic crystals parallel to one another. These mass of crystals form the long sticks. Often, these sticks for in rock seams in the parent rock. Most of our samples sizes are generally 3-4 inches in length but can vary based on availability and natural crystal shape. 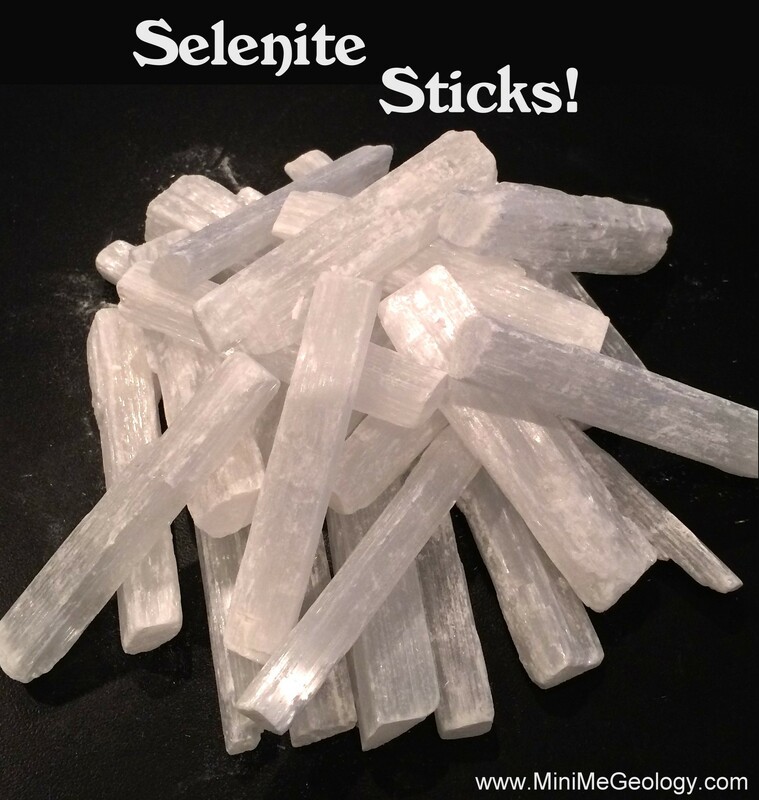 You can check out our selenite sticks here. 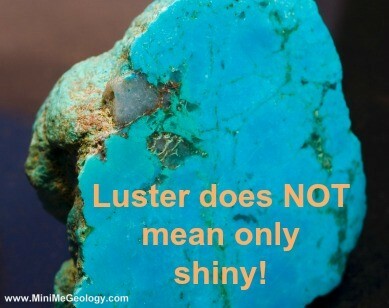 Luster does NOT mean only shiny! One of my biggest issues with science teachers in schools today is that they tell kids when they are learning about rocks and minerals that term luster means shiny. Well, guess what, it doesn’t! I wrote a blog post on this several years ago and it is still happening. Again, my daughter came home from school (this time in middle school) with a paper that said that luster was “shiny.” Gag. And, if it isn’t shiny, it has no luster. Double gag. So, teachers and homeschool parents, PLEASE teach kids the correct definition of luster. Yes, it can be shiny but it could also be any of these other terms. Some minerals may even have more than one luster depending on the way it forms. If you have questions, just let us know. We love talking about mineral identification! You can get us at: rockinfo@minimegeology.com. Click here to read my earlier blog post about mineral luster. 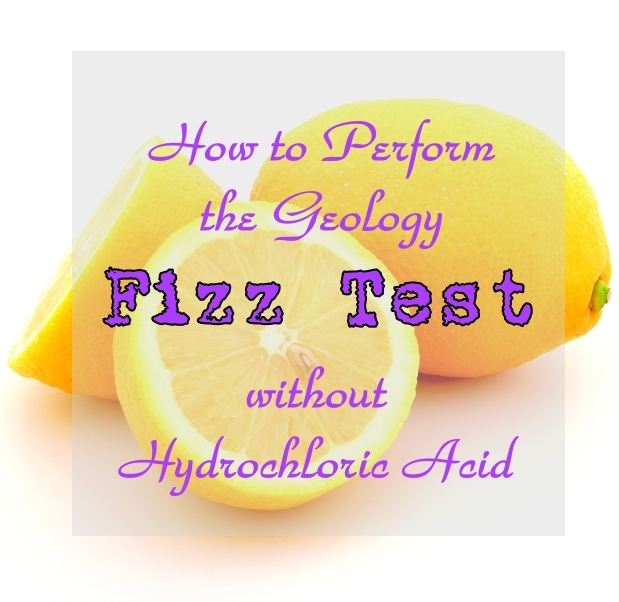 Geologists love testing rocks and minerals and, admittedly, one of the most fun tests is the FIZZ TEST. The mineral calcite is made of calcium carbonate (CaCO3). Hydrochloric acid is the most common acid used among geologists to test whether a rock has any calcite content. In this reaction, the calcium carbonate reacts with the acid and produces carbon dioxide gas, water, and calcium chloride. The carbon dioxide produces the bubbles that you see on the surface of the rock. We agree with you that hydrochloric acid is not always the best choice to use with kids. For one thing, when kids are learning to identify rocks and minerals you want them to be able to test and explore without worrying if they are going to burn their fingers with acid. Weak acids like lemon juice (citric acid) and vinegar (acetic acid) are the perfect solution for performing safe lab experiments with younger kids. The only problem with weak acids like lemon juice and vinegar is that sometimes it is harder to see the reaction (the bubbles). The best way to fix this problem is to create a fresh surface for the kids to test. Since using a rock hammer in class isn’t always advisable, I suggest giving each child a paper clip that they can use to scratch the surface of the sample. When you scratch the surface you are removing some of the older weathered exterior or areas that were already tested and giving the children a fresh surface to test. Once they scratch off a small area to test, they can use a dropper bottle or a straw to place a few drops of lemon juice or vinegar on the surface. 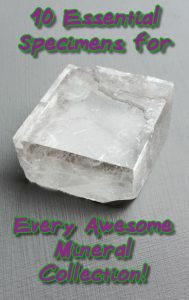 If it bubbles, you know that there is the mineral calcite in your rock. This is a great test for limestones and marbles which are made completely of calcite. 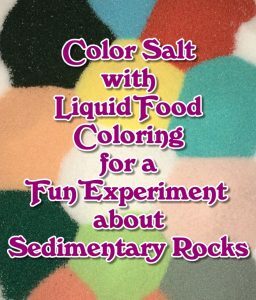 If you need help teaching kids how to identify rocks and minerals check out this book which will give you all of the details you need.